MACOMB, IL – If Kiefer Sutherland can do it in 24 hours, so can Western Illinois University. 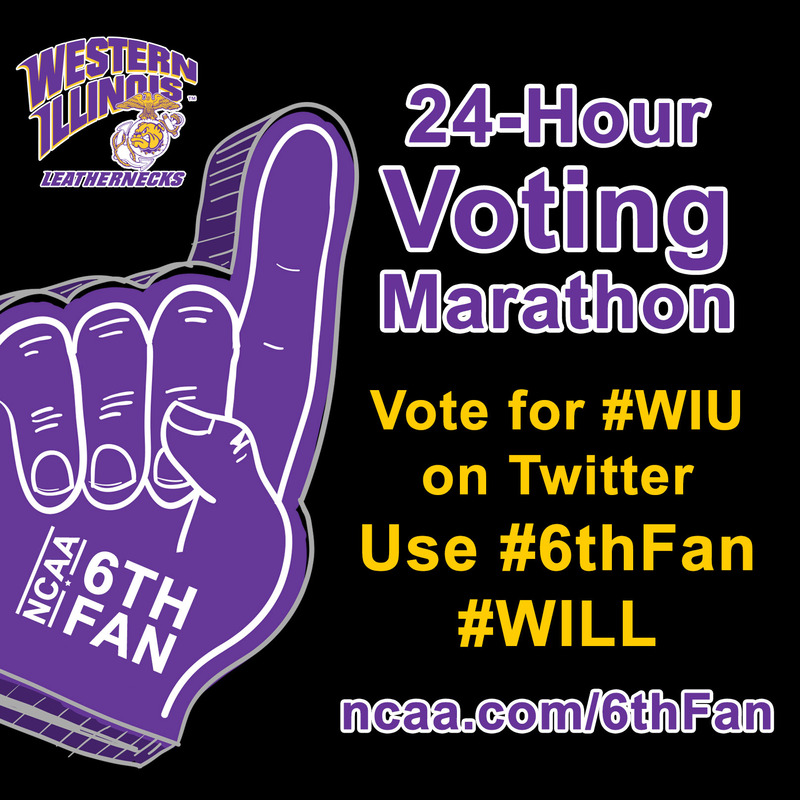 Tim Hallinan, director of Western's Annual Fund and a WIU alumnus, is putting out a call to action for students, faculty, staff, alumni and friends to vote, vote and vote some more – as many times as possible in a 24-hour period – for WIU in the NCAA's 6th Fan Contest. The Leathernecks have advanced to the Sweet 16 of the competition, and as a result of the top-16 finish, WIU has already earned $10,000 toward the University's general scholarship fund. The winner of the overall competition will win $100,000, which will go to the University's general scholarship fund. Western is currently battling the New Mexico Lobos for a spot in the Elite Eight. At present, WIU is ahead, 51 percent to 49 percent. When Western advances, they will most likely be battling for a Final Four spot against arch rival, the South Dakota State Jackrabbits. Elite Eight voting will be held Feb. 24-March 2. Hallinan is challenging others to vote as many times as possible from noon Saturday through noon Sunday (and beyond), and to put his money (or his vote) where his mouth is, he will set up camp in WIU's phonathon lab in Morgan Hall 124 for 24 hours where he will be spearheading the "marathon voting." Other University faculty and staff are encouraged to join Hallinan in the lab, or they can stay put in the comfort of their own home and vote the day and night away for Western. "Our Leatherneck pride across both campuses, as well as from friends and alumni across the country, has already allowed us to win $10,000 in scholarship funding for our students. I want a spotlight on our commitment to our University and to our students on a national stage as we battle for the championship prize of $100,000 in scholarship support," Hallinan said. "Our current and future students deserve this, and there's no reason why we should not beat New Mexico and move forward in the contest. I'm looking forward to being on campus Saturday and voting all day and all night, and I hope others, both near and far, will join me in voting for Western." Fans are encouraged to continue voting for WIU's advance to the Elite Eight and beyond via Facebook, Twitter (by using #6thFan #WILL) and ncaa.com/6thFan.